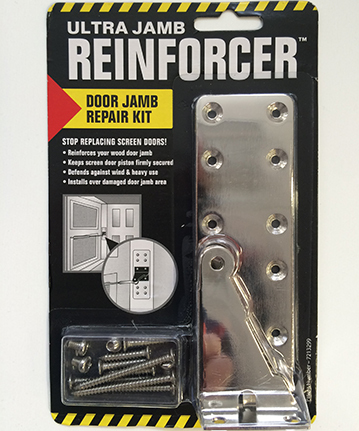 The ULTRA JAMB REINFORCER™ quickly and easily installs onto Door Frames to stop Screen Doors from ripping out of their Door Jambs. This convenient door hardware Kit is also the simple, inexpensive solution to repairing already damaged Door Jambs. Over time, wind and heavy use can cause screen and storm doors to be pulled from their door frames. The ULTRA JAMB REINFORCER™ is a complete Kit consisting of a nickel plated Steel Plate, accompanying Bracket, and Screws. 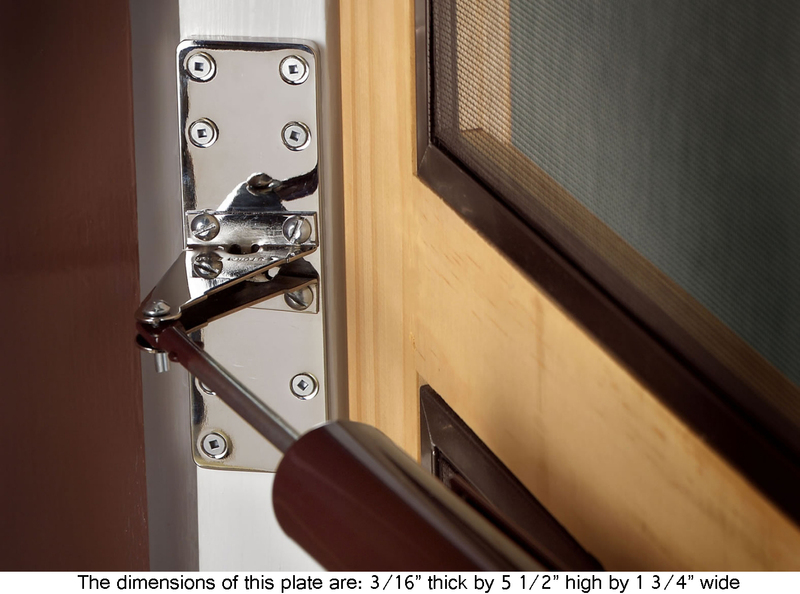 This universally fitting door bracket replaces "tired" hardware and holds the door piston firmly in place, extending the life of the screen door. It can be attached onto all models of wooden door jambs, and can be placed at the top, bottom, or in the middle of the door frame as required... preventing splitting and cracking. This patented door hardware item is a must-have for home owners, maintenance contractors, property management companies, Housing Authorities, hardware stores, and even makes a unique gift for any occassion.